It’s no secret that our schedules are nuts around here. The kids are fortunate in that they can participate in lots of activities, and Mark and I also have at least one “night out” where we can get a break. Our schedules are quite opposite these days, but he and I both need the break away from the chaos. Right now, my break falls on Wednesday nights, when I attend a bible study class at my church. Not only is it a chance for my to expand my understanding of my religion, but it is also time for me to sit and catch my breath. I can listen to and participate in conversations with friends, without being asked for more chocolate milk, or breaking up a fight, or telling someone to get away from the dog. It’s lovely. I leave with a feeling of peace, and although it’s a fleeting moment (as I’m all too soon back to filling cups of chocolate milk and yelling about the dog), it gets me through to Sundays, when I can once again sit quietly and enjoy the peace. Our summer has been filled with many activities; typically, we’ve had something different to do each week. This week, we’re spending our evenings with our church family for Vacation Bible School. 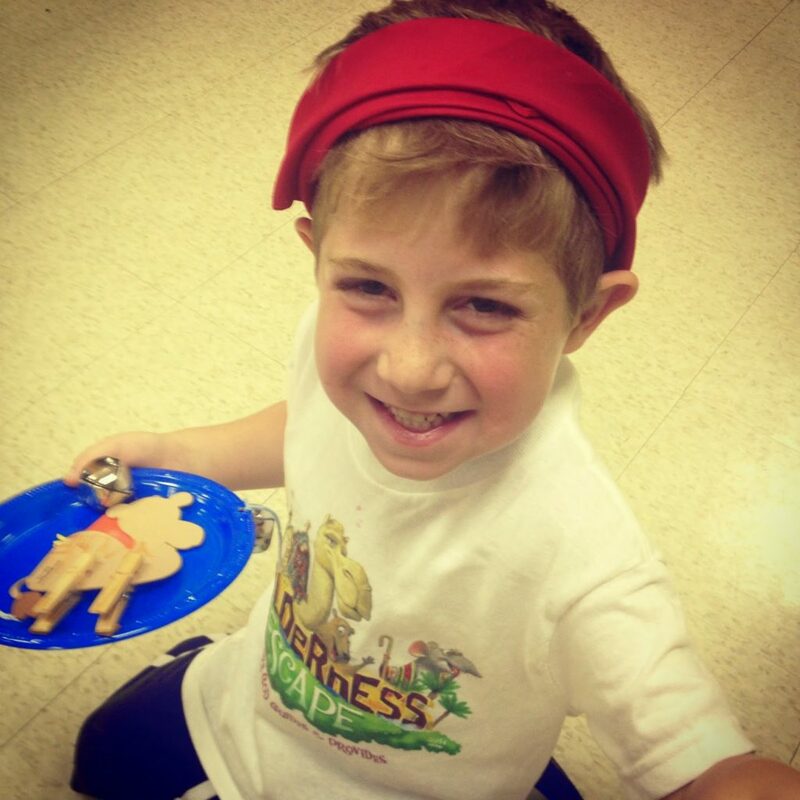 My kids absolutely love VBS: from singing and dancing to crafts and games, they are having a wonderful time. Plus, they are learning and spending time with friends, so it really is a great experience. We are blessed to have so many fabulous volunteers putting this program together for them. It is a lot of work, but it all seamlessly comes together for a week full of fun. It makes me happy to hear the kids chatter about VBS during the day, and then again on our way home. Our days this week are quite long, but it is more than worth it. I am grateful for such a fantastic opportunity for them, and I truly appreciate all the efforts which make the week possible. This evening, Addie and I were fortunate to spend time sharing The Living Last Supper, a service at church that brought DaVinci’s painting to life. What an amazing presentation. I’ve blogged before about how much I love our church, but I am constantly reminded of all the reasons why that is so. Tonight, I was blown away by all the talent that surrounds us; the music, the monologues, all the behind-the-scene prep work (that, although we didn’t witness first hand, was obviously there) were all fantastic. This was truly a unique experience, and one that even held Addie’s attention for the full hour. She came away asking questions that showed that she related what she’s learned at church to what we saw unfold before us during the production. What a blessing it was to share this with Addie. Thank you, to all involved, for such a lovely service.